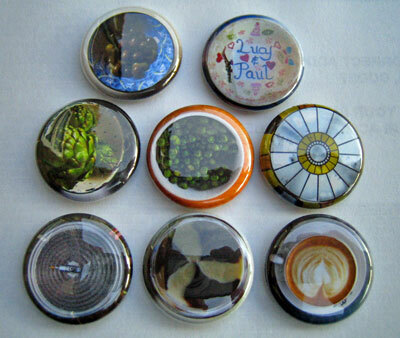 These arrived in the post this morning, 1″ badges made from some of my squared circle pictures. Thanks courtneyp. A Whatfettle article by Paul Downey published Wednesday, March 23rd, 2005, at 10:06 pm under a Creative Commons License.